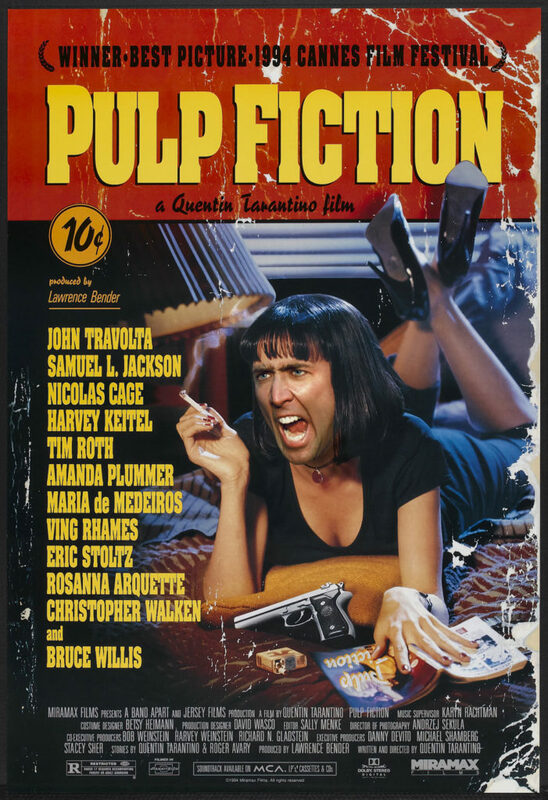 As I continue to do my part in the universal goal of putting Nic Cage in everything (see Nicolas Cage as The 40 Year Old Virgin), I have found that it’s great fun to put Nic in some very iconic roles. It is also incredibly delightful when his face is extra emotive, which is shockingly commonplace for Mr. Cage. The biggest challenge to putting Cage in Pulp Fiction was actually finding a shot of his face at the correct angle. After some flipping, turning and manipulation I am pretty happy with the result. I am also intrigued in what could have been if only Tarantino had cast Nic in the role of Mia Wallace.